The Transportation Authority is always looking for new employees and drivers that want to get into or have been a part of the transportation industry in the past. We value people that have a high standard of integrity and responsibility imbedded in everything they do, and we offer the same in return.Whether it's manning the phones or becoming a driver you can have a lucrative career with a company that treats all of its employees like family. All our school bus drivers must have a level 2 clearance and be subject to random drug and alcohol tests. Whether it's manning the phones or becoming a driver you can have a lucrative career with a company that treats all of its employees like family. We offer a full benefits package and training for those that need it along with the promise to always provide you with the most up to date and well maintained equipment in the industry. 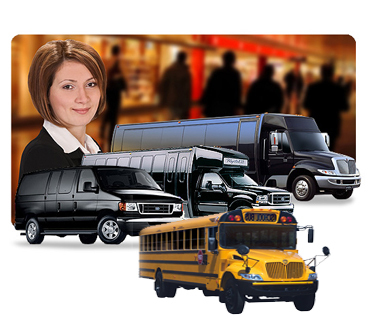 By providing coach buses to our clients we can create a healthy environment for those long field trips that would be otherwise impossible through normal means of transportation. All of the school buses in our fleet come standard with seatbelts and video recording equipment to insure child safety. Our drivers are also required to do a thorough search of each vehicle after every shift to guarantee no child will ever be left behind. 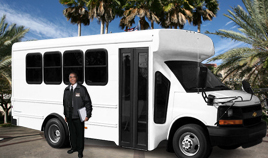 TTA's state of the art shuttles are the most comfortable vehicles in the market and provide a safe and reliable method of transportation no matter what the age group. Fully equipped with air-conditioning and tinted windows we assure that you will get to where you are going and feel like you never stepped out of your home.